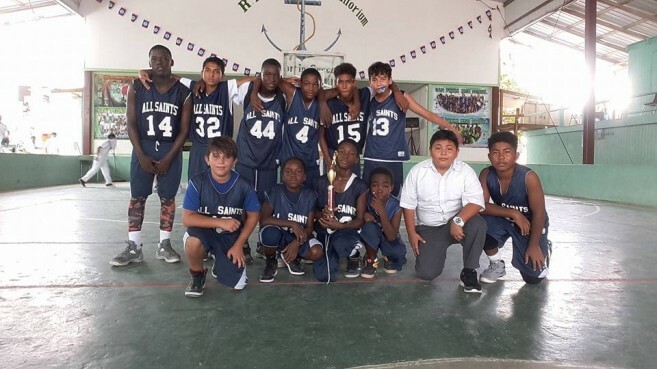 The basketball team from the Holy Cross Anglican School is back on the island after participating in the Basketball District finals in Belize City on Monday, October 30th. The team was not able to grab a spot for the national tournament, however they put up a great fight, and plans are already underway to participate next year and outdo this year’s results. Holy Cross won their pass to the District Finals after defeating San Pedro Roman Catholic School at the regionals on Tuesday, October 24th in San Pedro Town. The tournament was organized by the National Sports Council to bring out the best teams from across the country. Each team only had one chance to advance to the next level of the competition and make it to Nationals. Holy Cross took on the team from St. Ignatius Primary School in their only attempt to continue in the competition. The match proved to be a daunting challenge for both teams. The island team gave their all, but at the end, they were short by seven points. St Ignatius took the victory with a final score of 18-11. The national tournament has been scheduled to take place on Thursday, November 9th in Dangriga Town, Stann Creek District. The San Pedro Sun congratulates the Holy Cross Anglican School for representing the island well during the competition.